New Yorkers do not own cars. Many benefits come from this axiom. We walk more than the average American (quite a bit more actually). We never have to worry about having had too much to drink and needing to find a way home. We do not pay car insurance, nor do we know the price of a gallon of gas because well…we do not care. However, when it rains and we need to get to where we are going it inevitably means that we have to walk between ¼ and 1 mile in the elements. It is because of this, that unless you enjoy showing up at work with a see through shirt, a wet dog look and pants that you can wring water out of, you need to prepare. As I see it, there are three ways to prepare: the best way, the ok way and the I am an inconvenience to everyone around me and have decided to make this day a more miserable day for all those that I interact with…way. That last one was a bit long, but I promise you it is the best way to describe it. So, let us get started. Rain gear. You wouldn’t show up on a camping trip where you were going to hike a mile in the rain with an umbrella. You would stop by the REI store and show up in some RAIN GEAR. You know the guy in the fish sticks ad’s wearing the big yellow plastic jacket hat and boots? That is what I like to call the nuclear option of rain gear. You don’t necessarily need to go to that extreme. You can…I have seen it and I will tell you that it is awesome…but you don’t really NEED to. There are ways that you can beat the elements without looking like a walking Long John Silvers billboard. Your first step will be a pair of rain boots. Rain boots can double as both your rain and snow option for footwear in the city. When it comes to rain, there is no better way to feel like you’ve beaten the elements than by stomping in a giant puddle of rain water and knowing that your feet are still nice and dry/cozy and warm. When it snows in NYC it’s beautiful, and for your stroll through the snow globe-esque park you’ll want to wear 1-2 pairs of thick socks in there. Snow in NYC quickly turns to a black and brown sludge that doesn’t require the wearing of snow boots and more often than not rain boots are the preferred option. So, save yourself the hundred or so dollars on a good pair of snow boots and invest them in your rain gear. After you have your feet covered, the next step is to procure a solid rain coat. There are a variety of different routes you can go. The long trench coat…the buttoned up jacket that goes slightly past your waist…the dollar friendly jacket with a solid hood that you can throw over your head. The one feature that they all need to have is that they all need to be waterproof, and by waterproof, I mean you can actually stand outside in the rain for 20 minutes, pull out your arm and it will be bone dry. In my opinion, the longer the better, and if you can incorporate a hood – even better still. Protect your legs from getting wet, and while you’re at it, keep your noggin dry. This ladies and gentlemen, is the best way of combating the rain in NYC. So, you don’t want to shell out the cash for an entire rain outfit. That’s fine, totally understandable. It’s an investment and not all of us are fortunate enough to be able to make it. 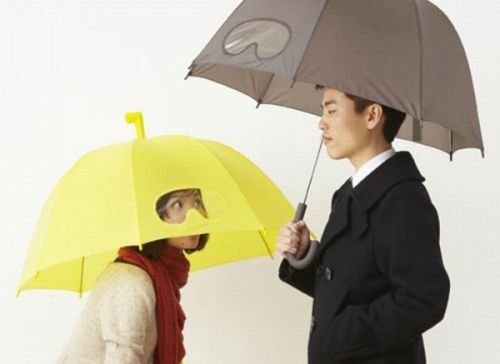 The good way of combating rain is a NYC friendly umbrella used in a NYC friendly way. Remember, there are 13 million people that interact with this city in one way or another, and you are just one little cog in the wheel that makes up the commute. Find an umbrella that is small, preferably one of the umbrellas that points down on the sides and not out. Furthermore, when you are walking around be aware of your surroundings. Don’t just come to a halt in the middle of the sidewalk- there are people behind you walking and it’s harder to just scoot around them. When you come out of the subway stop don’t stand at the bottom or the top of the stairs and try and open/close your umbrella. Do it just before you reach the subway stop. Everyone that is trying to go in and out of the station is massively inconvenienced by your sudden stoppage. When you are walking through a tight spot, turn your umbrella to the right or the left to avoid hitting somebody in the head/eye, lift it high above your head if you can to not hit the other umbrellas or faces. Bottom-line, when you’re using an umbrella in the city – be aware of the other people around you and try and be as respectful as possible. You’ll notice that I spent a lot of time talking about choosing the right umbrella, and making sure that you use that umbrella in the correct fashion in that last paragraph. That’s because if you don’t, you’re the person that everyone is swearing about when they arrive at work. 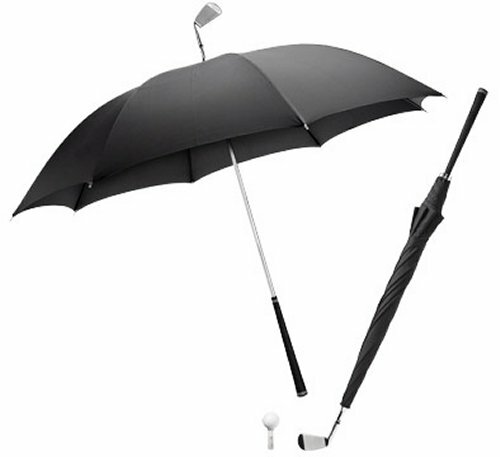 The wrong umbrella is a golf umbrella. A massive, non NYC friendly, unnecessary piece of fabric and steel that wreaks havoc up and down the NYC sidewalks. When in use, you take it takes up 3 times normal amount of sidewalk space. It is the figurative equivalent to a blood clot in the circulatory system of the city. There is no proper way to use this umbrella, it will always and forever be an inconvenience. Don’t be that person. New Yorkers stick together, and we respect each others privacy….even when it rains.